Yes, it's used. Some scratches. Has all the usual stuff, MMSI radio/chartplotter, fish finder, small bait tank w/ pump, 4 rocket launchers, nav lights, manual trim tabs, sump pump, anchor, off shore life vests (new condition), fresh water tank that needs new pump, all pads for cuddy cabin, fabric top could be replaced but still functional, fabric enclosure for seats for bad weather (never used because never taken out in bad weather), 18 gallon gas tank, cuddy hatch needs work but still functional, 3 batteries (main starting battery, smaller spare battery and a really small motorcycle battery to power the bait tank). 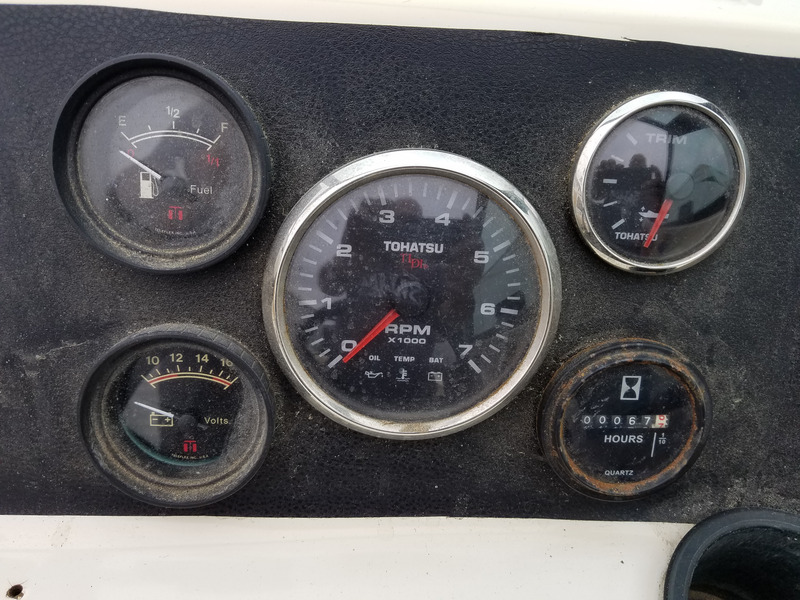 The motor is a newer (about 5 years old) Tohatsu 2-stroke 90hp outboard that is injected (no carbs and choke to deal with) that qualifies for the lower emmisions status. This motor only has 67 hours on it. Why you ask? Because I also have a travel trailer that we go on trips too and we only take the boat out locally for a day at a time. It also has a custom fit heavy duty Sunbrella cover. I'll even throw in the three jack stands that keep the boat off the ground in storage! Also has a transom saver for the motor while towing. The steering cable was replaced when the new motor was installed along with the motor controls. I'm sure I probably forgot things. It's ready to take out for some inshore trips. In fact, I'm changing the water separator filter tomorrow, just incase the weather cooperates so I can take it out fishing. I have taken it out about 12 miles before, but only on a really calm day. This Arima has a wide beam so fairly stable but it isn't a battleship. The trailer is galvanized. It has a new axle and leaf springs that were flipped to have a higher ground clearance. The tongue was extended 18 inches to help keep the rear wheels of the tow vehicle out of the water. It also has full carpeted side bunks to aid in loading the boat at the ramp. The bunks and carpet are all new in 2018 as is the four bunk brackets that attach the bunk to the trailer frame. I installed new lights when I bought this boat about 5 years ago. I also installed a Trailer Vallet tongue jack that has a two speed hand crank with a built in brake. It allows me to manually park the boat, even on a slight grade without the use of the tow vehicle. I installed aluminum platforms on the tongue so I can walk from the tow vehicle to the boat without getting wet. I installed an aluminum step on the hand crank pedestal to aid in stepping up or down from the boat to the trailer, again without getting wet. There are no free rides, but money talks and we can make arrangements. 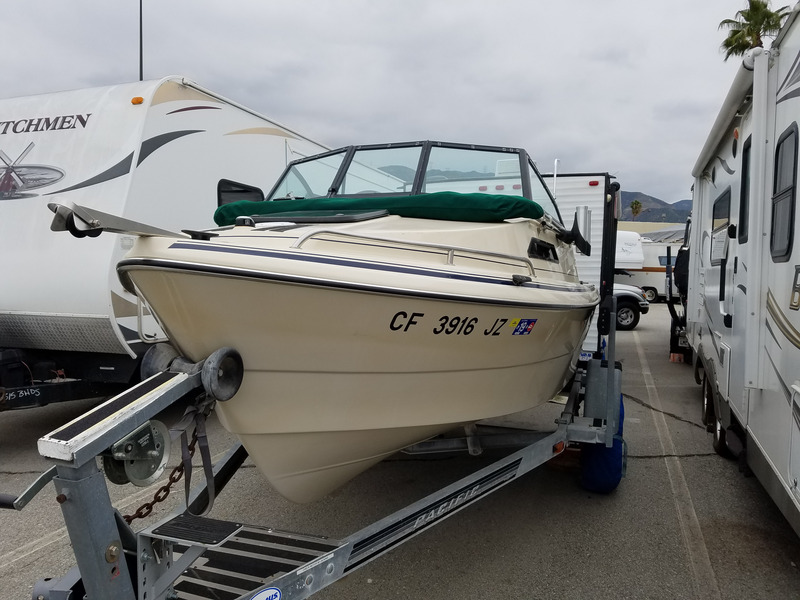 It's first come first serve as I'm not new to selling boats. This will be the fifth boat I will be selling. No ridiculous offers. No agents. Cash only. I have the pinks and registrations and are all current. If I do not respond in a timely manner, please be patient as I'm probably out there with my travel trailer. 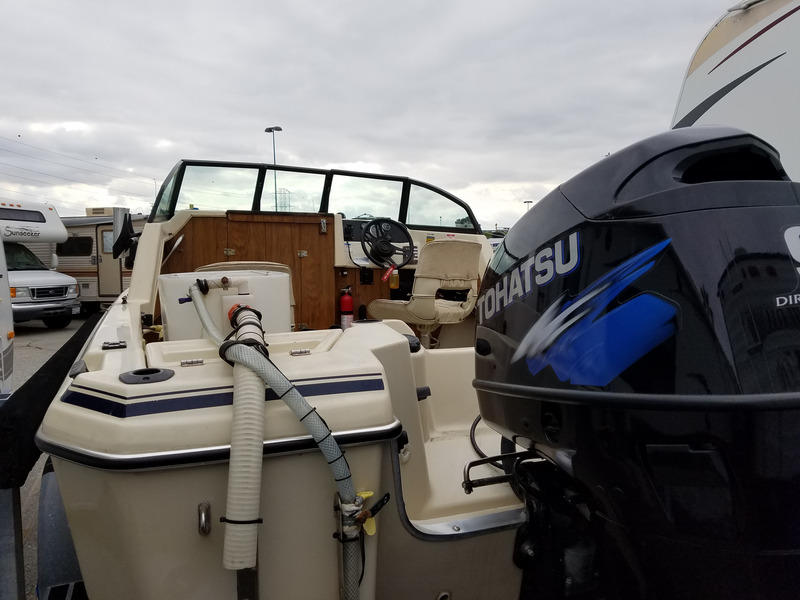 As you may or may not know, Arimas are usually kind of difficult to find on the used boat market and new ones (now Defiant boats) are really pricey. This boat has never let me down or stranded me although I do have Boat U.S. coverage and Progressive insurance. I'm selling this boat because I'm getting too old. It's just a fact of life. Happy future boating!